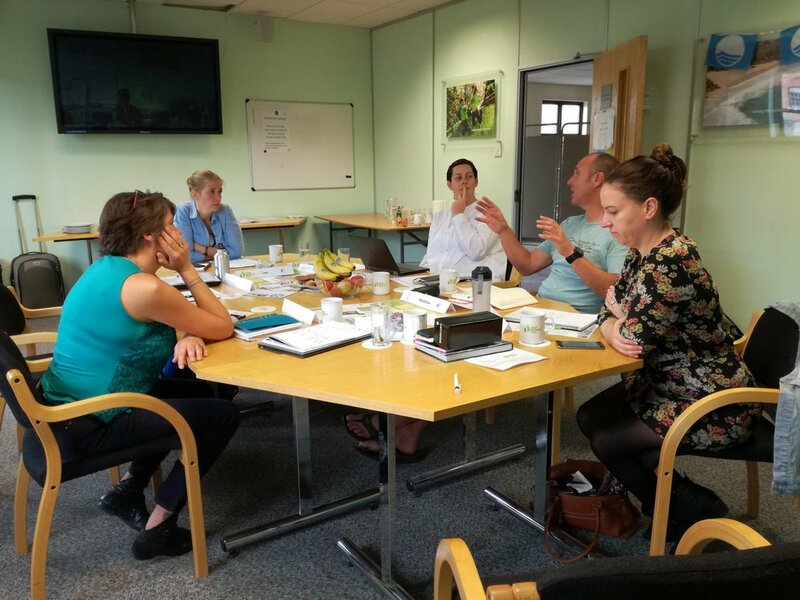 On 21-22 August, Eco-Schools National Operators from England, Scotland, Wales, Northern Ireland and Ireland came together in Wigan, UK, to share experiences, discuss processes and find ways to further collaborate. The meeting was a first step towards forming an Eco-Schools UK & Ireland regional network - the second one in our programme after the formation of the Eco-Schools African Network in November 2017. Lee Wray-Davies, Karyn Fullerton and Francis Hyland coordinated the meeting at Keep Britain Tidy's headquarters in Wigan, Greater Manchester. Keep Scotland Beautiful, Keep Wales Tidy, Keep Northern Ireland Beautiful and An Taisce were represented by Anne-Marie Robb, Matthew Bunt, Ruth Van Ry and Birgit O'Driscoll respectively. FEE Head Office was represented by Nicole Andreou, International Eco-Schools Coordinator, and discussions on FEE EcoCampus were led by Deirdre O'Carroll from An Taisce, Ireland. The team had the chance to go through best practices, a review of resources available, ideas on collaborations and the Green Flag assessment process in each setting. On the second day of the meeting, Anne-Marie Robb held a workshop on the Sustainable Development Goals and how countries can best showcase them in their work. Deirdre O'Carroll introduced the FEE EcoCampus programme and its implementation in Ireland to inspire its further expansion and development in the rest of the nations. It is worth mentioning that Eco-Schools England and Eco-Schools Northern Ireland have recently launched the programme. Discussions around the Marine Theme and calls to action against plastic pollution also took place. The meeting concluded with sharing best practice and exploring possibilities around the FEE Litter Less Campaign and the implementation of Eco-Schools' sister programme, Young Reporters for the Environment. The first UK & Ireland National Operators meeting has been a truly fruitful one for all participants, who will keep exploring ways to work closer together and learn from each other's successes as well as challenges.